Nose: toasted grain with a bit of sourness, like onions past their sell-by date. Taste: Bitter, toasty, with a wee tiny bit of sourness. Bitter, but not excessively hoppy. 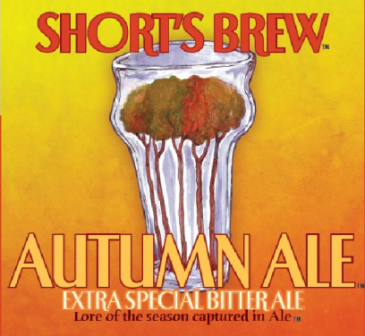 Parting Words: Nothing particularly Autumnal about this to me, but it’s a decent ale. The rotten onion note was a off-putting though. Not a bad choice, but Short’s makes much better beers than this.